The benefits of using artistic display equipment for informing the world about products and services can never be over-emphasised. Scribo Displays offer their customers aesthetically designed decorative brochure stands that help to enhance the appeal of your organisation's brochures while exhibiting at trade shows and exhibitions. 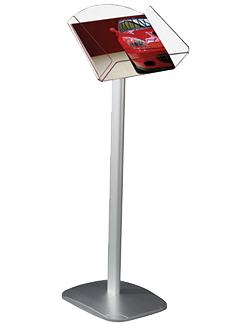 These brochure stands can be assembled or dismantled easily without performing complex procedures. 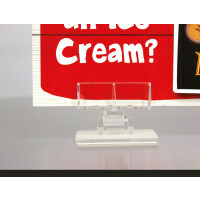 Take a look at our collection of decorative brochure stands to find the brochure stand of your choice.